I’ve got a full post in Irish over on the company blog today at blog.Blacknight.com. It’s a celebration for the week that’s in it, announcing 3 additional domain promotional videos (see below) with new soundtracks as Gaeilge, and some special offers for St Patrick’s Day. 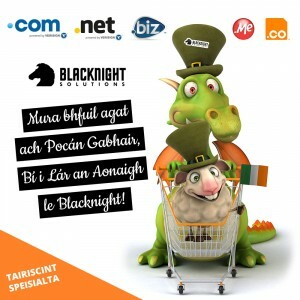 And there’s a little bit of explanation about why Blacknight is using Irish in its marketing. Blacknight is an Irish company, and Irishness is a part of its brand. It distinguishes us from Britain and America, which is important in these times, when significant divisions are emerging regarding privacy and digital rights in different countries. There’s more to it than that, though. 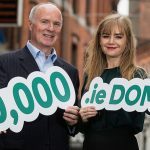 A significant point is the fact that the Irish language provides a good example of what the internet does best: connecting people (who may be isolated from other speakers), promoting diversity and pluralism, and leveling the playing field for minority culture in a similar way to what it does for small business and niche interests. 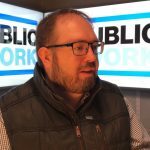 Murach an tIdirlíon, Raidio na Gaeltachta agus TG4, ní fhéadfainnse an Ghaeilge a choimeád beo dom féin agus do mo chlann. As the government systematically rolls back support for the language and casts it adrift, I believe that the Internet is the only thing saving it from extinction. There are plenty of people who would cheer that extinction, and who are actively engaged in sneering efforts to denigrate the language and discourage others from using it. In particular, they like to paint Irish speakers as insular and intolerant when, in my experience, the opposite is true. Accepting Irish means accepting multilingualism and multiculturalism, and it is my personal opinion that openness to other cultures goes hand in hand with an appreciation of our own. I’m proud to work for a company that shares that view. Blacknight does business internationally and participates in internet governance. It sees the bigger picture of a global and diverse Internet, and supports cultures such as Catalan by offering .cat domain names. It follows naturally that it is also proud of its Irish heritage. Guím Beannachtaí na Féile Pádraig ar lucht leanta Technology.ie. Bainigí sult as an saoire! Why are Irish language groups protesting? 23 Responses to Will the Internet Save the Irish language? In relation to @0xAC1D1C’s tweet, I’m not talking about official support for the language. 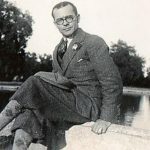 As regards the Official Languages Act, it’s obvious to me that the policy of the current government is to ignore it, essentially restoring the tradition of lip-service operated by all parties since the foundation of the State, with the singular exception of Eamonn Ó Cuív’s tenure as Minister for the Gaeltacht. But while I believe the Official Languages Act is necessary, it is not sufficient by itself to ensure the future of the language. I’m talking about people, engaged in ordinary everyday 2-way conversations through Irish. I’m arguing that the Internet has turned the tables and created opportunities for Irish speakers that simply do not exist for most of us in the real world. And no, I don’t think there should be legislation on the use of Irish by private companies 🙂 The state has a constitutional responsibility. Government sanctions against Irish were the primary cause of its decline under colonial rule. Government support for the language is necessary if it is to be preserved. Necessary, as I say, but not sufficient.